Next I started working on the background: I die cut a rectangle with one of my rectangle nesting dies from some Strathmore Colored Pencil paper and stamped one of the sentiments from the same Kennedy Grace Creations “Splendid Roses” stamp set on this panel with the brown ink as used before and using my MISTI stamping tool. 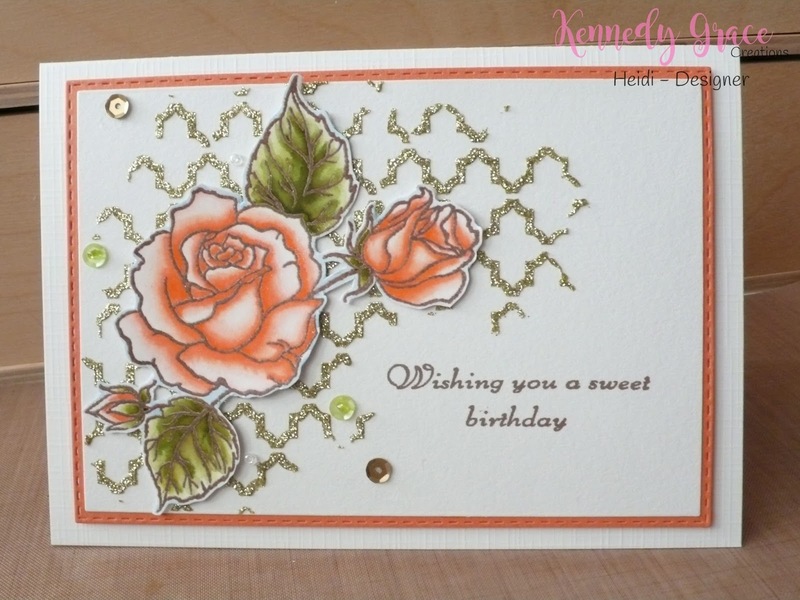 After the sentiment was stamped I applied Nuvo Glimmer Paste in the colour “Golden Crystal” over a Crafter’s Workshop stencil called “Mini Quatrefoil Reversed” leaving the area around the sentiment clear and making sure that the area where the rose would be attached was completely covered. Then I set this panel aside to dry. 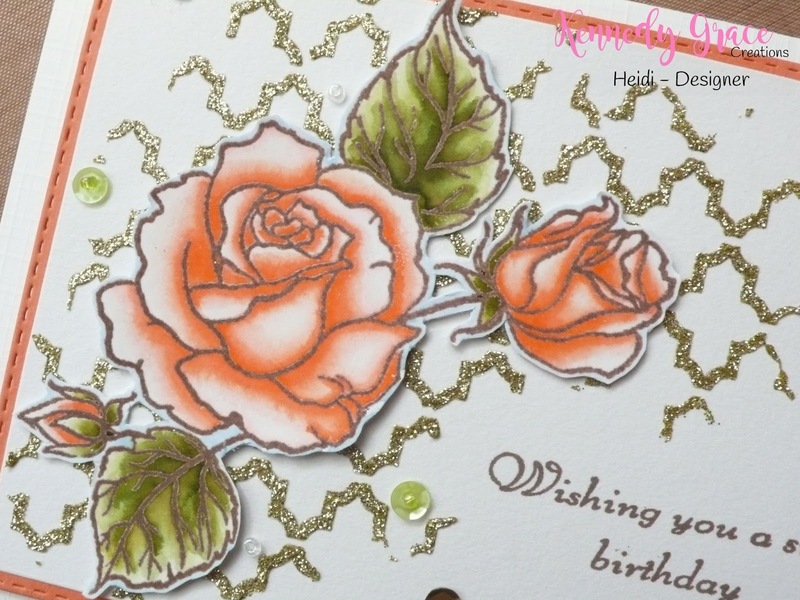 I love the result this paste gives and the combination with this rose stamp is just awesome! After the glimmer paste has dried I put this card together: I die cut a slightly larger stitched rectangle panel with one of my nesting dies from some matching card stock and adhered both panels together with liquid glue. Then I adhered these combined panels to a crème coloured linen textured card base with one millimetre thick foam tape and adhered the roses on top of this with 3D kit. And for my finishing touch I adhered some sequins and micro beads from the Kennedy Grace Creations “Enchanted Evening” sequins mix with Ranger medium matte. I hope you enjoyed and until the next time, wishing you a creative day! Gorgeous card - love the overall design!